ISLAMABAD, Aug 11 (APP):Paksitan Electronic Media Regulatory authority has banned Shahid Masood of ARY News for 45 days as he had cast aspersions on the superior judiciary in his programme on June 22, 2016, accusing Chief Justice of the Honorable Sindh High Court, without any proof, for taking money from someone. In his programme he also alluded that the son of the Chief Justice was kidnapped because the Chief Justice did not fulfill his promise after receiving money,said a PEMRA press release issued Thursday. According to his allegation, the deal between the Chief Justice and the alleged bribers, was struck in a Gulf state and CJ’s son was kidnapped by the bribers when the CJ did not deliver. The baseless allegations against an honest judge were not only painful for the entire family which was going through the trauma of their missing son, but were malicious and contemptuous. CJ’s son was later recovered in a successful operation by Pakistan Army against the terrorists near the Afghan border which proved the shallowness of these allegations. A show cause notice was issued on July 19, 2016 giving seven days time to the channel for reply. However, the reply received on July 23, 2016 was unprofessional and no apology was tendered. Despite that a second opportunity was granted and to ensure a fair treatment, the case was referred to an independent body, Council of Complaints, and the channel was asked to explain its position before it on August 4, 2016. On the date of hearing the channel sought adjournment. The Council, comprising members from the civil society, academia and media, granted the adjournment for another seven days. On the third opportunity of hearing on August 10, 2016, the channel representative could not satisfy the Council with his arguments for such a grave violation of the Constitution and the PEMRA laws, neither extended any apology for such a serious allegation without any evidence against the Chief Justice of Sindh High Court. Hence the CoC issued this decision. Alongside this process, a case of malicious campaign against the judiciary on electronic and social media is being heard by a four Member Bench of the Honorable Supreme Court of Pakistan in Karachi. On regular basis, the honorable bench gets details of the proceedings / actions that PEMRA is taking against those culprits involved in maligning the judiciary without any proof. According to law, the channel or the anchor can file an appeal against PEMRA’s decision in the High Court or Supreme Court. To ensure fair chance to the channel and its anchor, PEMRA has given five days time period, before the implementation of ban on the program of Shahid Masood starts on August 15, 2016. If they have any grievance against the PEMRA decision, they have the right to go to the High Court or the Supreme Court against PEMRA decision in the five-day time period granted to them to move the court. Ban on his appearance of Shahid Masood is valid for ARY News. Following up on what’s going on social media about this PEMRA decision, TV channel owners and anchor persons must remember that they, or anybody else, is not above the law. Media is power but with power comes responsibility. PEMRA, as a regulator, is duty bound to check the misuse of power by any element of media and violation of PEMRA laws and Code of Conduct. 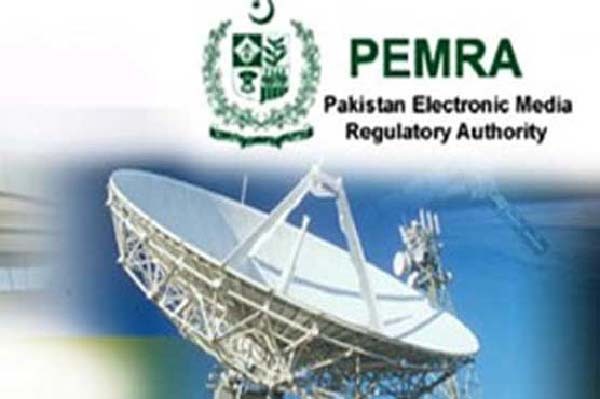 To fulfill its duty, PEMRA would not hesitate to implement its law on powerful people who think they are untouchables or enjoy a carte blanche to defame, demean or vilify people at will to serve their personal, or anyone else’s, agenda. Making mockery of the law or ruining professional journalistic ethics for whatever reasons is not allowed anywhere in the law-abiding, democratic world. PEMRA is determined to ensure rule of law and professional media ethics granted under the Constitution and PEMRA laws. To ensure transparency and accountability, we are making public the transcript of the words uttered by Shahid Masood, the actual video clip, PEMRA’s Show Cause Notice, reply of ARY News and minutes of the decision of the Council of Complaints.